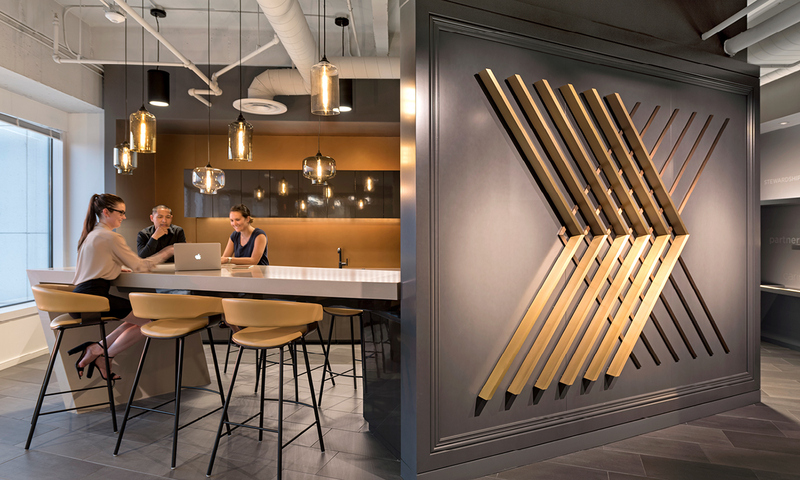 After years of continued growth, Xenia was looking for a new space that enhanced the way they work, better represented their culture, and expressed their mission as a REIT focused on a luxurious Hospitality portfolio. 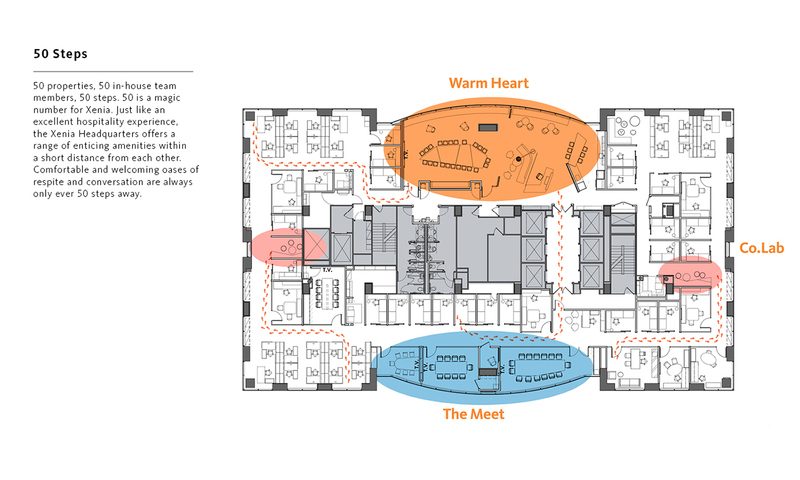 Like a home, the project houses a family of professionals with varied workflow needs, centered around social, communal hubs that are imbued with vibrant qualities of hospitality. Organized around the concept of "50 steps," the design is informed by the diverse experiences available in resort and hospitality projects, where each new destination is just steps away. 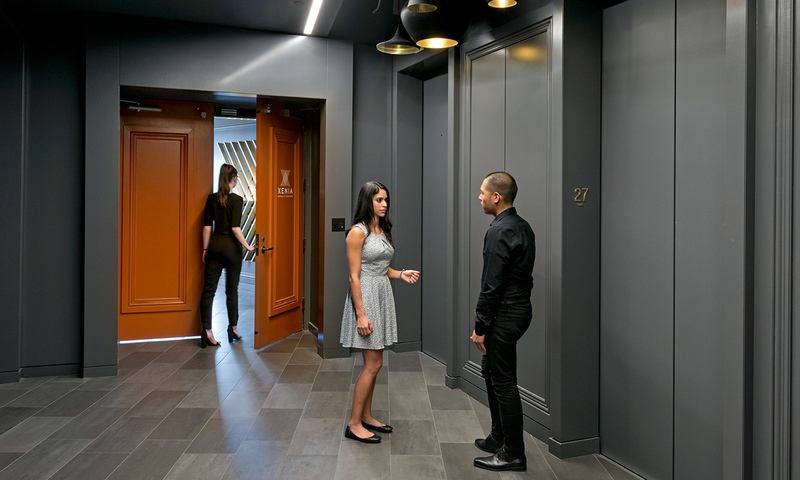 At Xenia, employees can easily move between offices, work bullpens, conference rooms, collaboration zones, and break rooms in 50 steps or less. Many of these destinations express as dynamic disruptions within the thoughtful and sophisticated workplace environment. Branding becomes storytelling breadcrumbs along the 50 steps between the key moments that express Xenia's proud story. 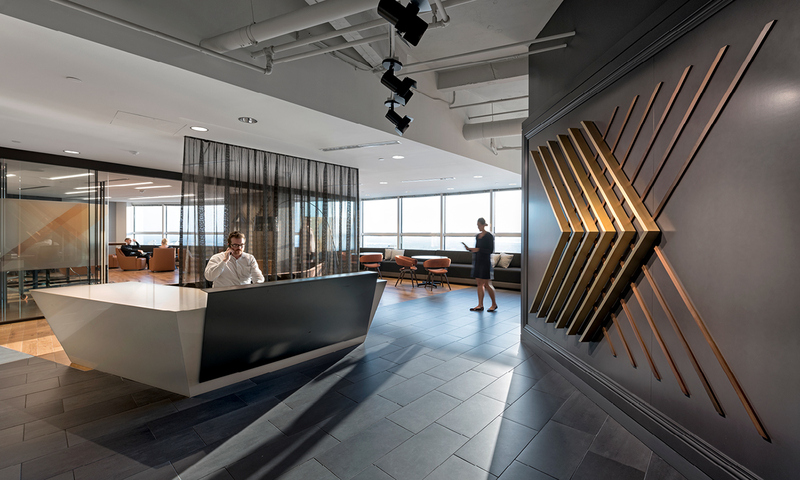 A multi-purpose conference room shares space with an open lounge and café that blends into reception area. 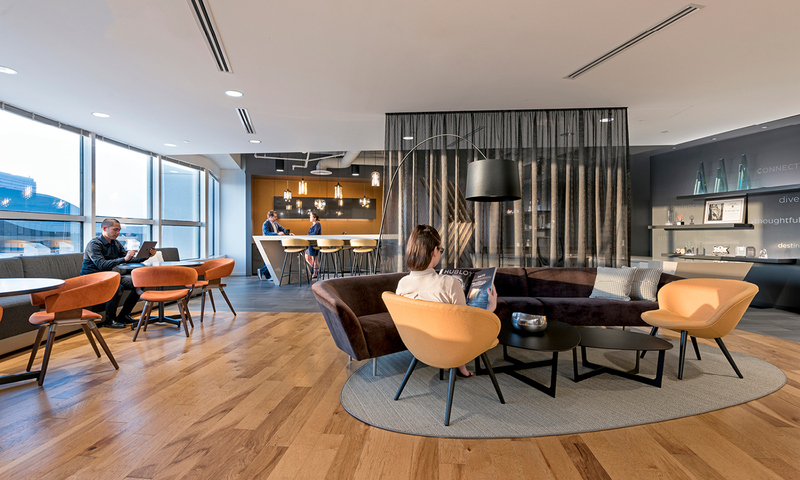 Supporting a number of different work modes, this flexible area can be converted from a main lobby, to a conference room, to a collaboration zone with custom mobile furniture, to a 50-person room for “all-hands” meetings. 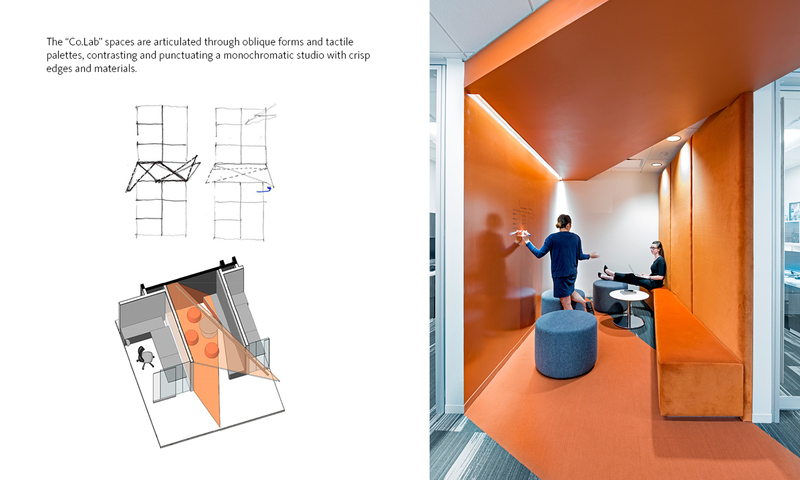 Micro-offices measuring 70 square feet pull inboard, allowing for both focus work and vastly team work areas. Workstations arranged to form work studios are equipped with configurable furniture that allow for a more flexible workspace. Ultimately, Xenia Headquarters presents itself to visitors like a comfortable boutique hotel lobby. 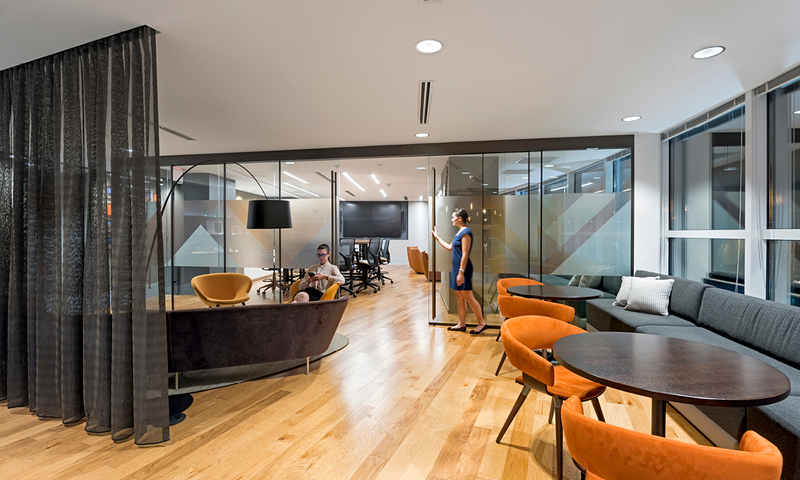 Company labs, or "Co.Lab" areas, are conveniently placed near workstations that give employees another setting to collaborate. 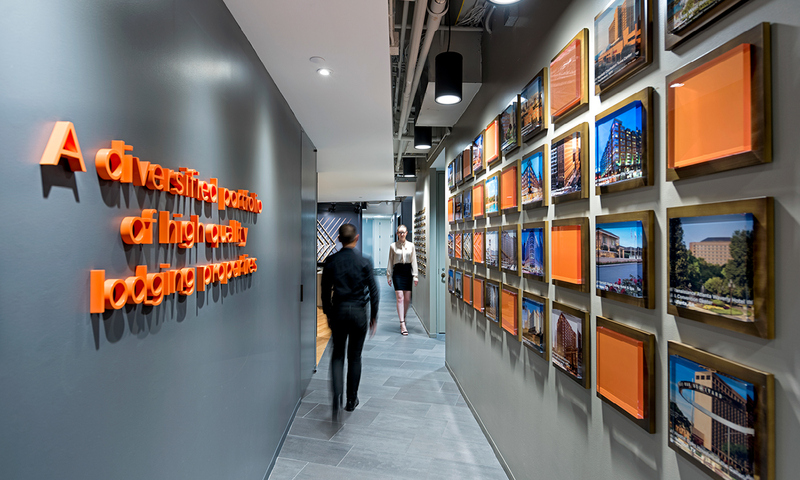 Environmental graphics share the stories of the Xenia team and mission, while a hallway reminiscent of a family photo wall brags about each special property in the company’s portfolio.